Identifying an independent financial adviser in the UK—someone who will work with you to determine your financial planning and wealth management needs—is the first step to achieving financial peace of mind. Be that as it may, many Brits are unaware of the difference a UK independent financial adviser (IFA) can have on their financial lives. Having a qualified and experienced UK financial advisor on your side can help you preserve what you’ve accumulated and even grow it for the years to come. Just as a family physician plays a key role in your physical wellbeing, UK IFAs can help clients maintain their financial health. Since one would take the time and effort to search for a physician of their choice, you should also conduct appropriate diligence when identifying independent financial advisers in London or elsewhere in the UK. 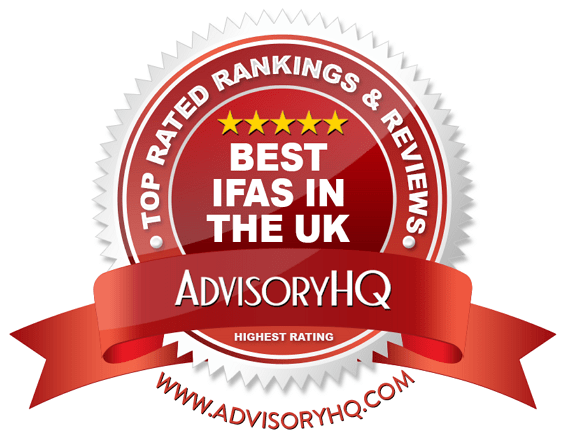 That’s why we have put together this list of best UK IFAs and wealth management firms to help you identify the best UK/London financial adviser with the right skills that matches your needs and expectations. When it comes to choosing the best UK financial advisor, there are plenty of firms to choose from. With so many options to consider, how can you narrow the search? First, take a close look at what each financial advisor in the UK has to offer, and match those services up with your own personal financial goals. As you will see in the following reviews for financial advisors in the UK, each UK financial advisor specializes in varying areas of financial planning and wealth management. If your needs are of a broader nature and you wish to have peace of mind through simple yet comprehensive financial planning, you may be well-suited with a UK financial advisor that offers a broader range of services. Once you’ve narrowed down your choices to a select few of these top-ranking financial advisers in London and elsewhere, see if any of your selected advisors offers an introductory consultation session. Whether it’s a free or paid consultation, this can be a good way to “feel out” a prospective financial advisor in the UK before committing to their services. Below, please find the detailed review of each firm on our list of the best financial planners in the UK. We have highlighted some of the factors that allowed these UK wealth management firms to score so high in our selection ranking. Alexander House Financial Services Ltd (AHFS) is an independent UK investment advisory firm with local advisors all over the UK. With individual, corporate, and specialized services, this top UK financial adviser strives to integrate traditional values, modern thinking, and transparent advice into all that they do. AHFS does not explicitly say whether they are a fee-only or fee-based UK wealth management firm. As always, we recommend verifying compensation before partnering with any UK IFA. Our fees are based wholly upon the provision of our qualified and professional expertise; the time taken to analyse your circumstances and devise an appropriate strategy going forward; the design of an appropriate summary report to communicate this strategy to you; and takes into account our firms exposure to regulatory, commercial and financial risk. While this UK wealth management firm does not call itself either fee-only or fee-based, they are transparent about what their fees are for different services, representing a strong, client-facing commitment. Even for those with multiple properties, purchasing a new residence or commercial property is a financial choice they want to make carefully. What will my costs be after I buy this house? Do I want to repay this mortgage on a month by month basis, or simply pay the interest and save on my own? Should I pay my mortgage off over a shorter or longer period of time? Acquiring the services of a financial planner in the UK can help you answer these questions in a way that will keep you secure moving forward. For those looking for the top wealth management firms in the UK, it’s hard to beat Alexander House Financial Services. With a diverse range of services, a transparent fee structure, a talented team, and multiple offices across the UK, Alexander House Financial Services is one of the best UK financial advisers to consider partnering with in 2018. Founded in 2001, Almary Green features a team of talented UK IFAs backed by para-planners and administrators, providing investment, retirement planning, tax planning, and more. While Almary Green does not specify whether they are a fee-only or fee-based firm, they do state that “our advisers are not paid according to sales targets,” ensuring that clients receive truly unbiased advice. As always, we recommend verifying compensation structure before partnering with any financial advisor in the UK. One of the newest offerings from Almary Green is Money Coaching, a service designed to help clients identify and change any negative behaviours and patterns. As one of the top financial advisors in the UK, Almary Green provides clients with comprehensive, client-centric financial services, laying a strong foundation for long-term financial planning relationships. 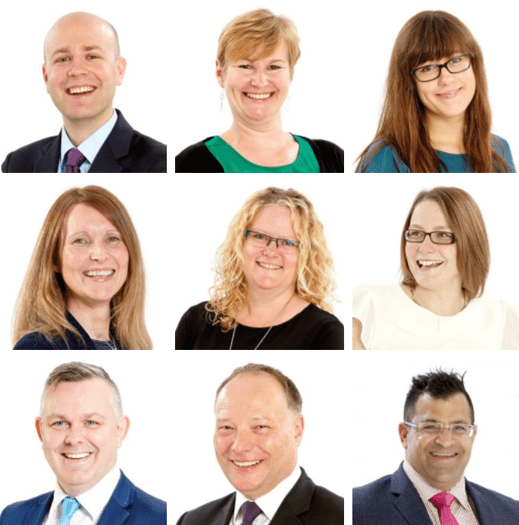 With a large team of highly qualified chartered financial planners, para planners, and administrative support, Almary Green is one of the best financial advisors in the UK to consider partnering with this year. Founded by Caroline Anstee, Anstee & Co. is a UK independent financial adviser in Kettering, London, Stamford, and Birmingham. While the firm doesn’t specify their compensation structure, it’s likely that Anstee & Co. is a fee-based financial advisor in London, as they may earn compensation from insurance or mortgage sales. As always, we recommend verifying compensation structure before partnering with any UK IFA. For many clients, part of finding the best UK financial advisers is finding a firm that offers enough services to sustain a long-term financial planning relationship. Anstee & Co. boasts a large, talented team of advisors, planners, and support staff, ensuring clients that the firm can handle a variety of financial challenges. As a top UK independent financial adviser, Anstee & Co. brings clients a wide range of benefits, including a commitment to independence and transparency in fees, instilling a strong foundation of trust within the client-advisor relationship. With a wide range of financial capabilities and a large, talented team of UK IFAs, Anstee & Co. is one of the best UK financial advisers to consider partnering with this year. Formed in 2005, Ashlea Financial Planning Limited is a UK independent financial adviser located in Cheltenham. The firm provides bespoke financial planning to individuals and businesses with a full suite of in-house services. The firm does not specifically state whether they use a fee-only or fee-based compensation structure. As always, we recommend verifying fees before beginning a partnership with any financial advisor in the UK. For clients that want a personalized, in-depth process, Ashlea offers LifeStage financial planning. Although the team of UK IFAs at Ashlea may be significantly smaller than that of competing firms, this boutique structure provides clients with the opportunity for one-on-one advice and attention, something that many larger UK financial advisors cannot provide. 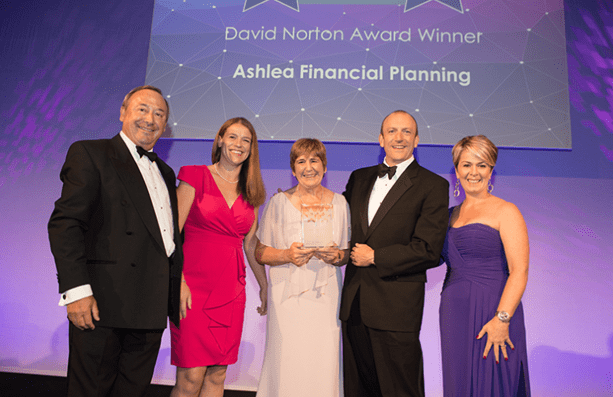 With a highly certified team and an in-depth approach that truly puts clients first, Ashlea Financial Planning Limited is one of the best financial advisors in the UK to consider partnering with this year. Based in Wellington, Chetwood Wealth Management is a firm of highly regarded independent financial advisers in the UK that have been serving clients for over 25 years. Uniquely, Chetwood does not specify whether they are a fee-only or fee-based firm—instead, these UK IFAs allow clients to choose “whatever fee option you decide suits you best,” demonstrating a flexibility that is not often found among financial advisors in the UK. Clients looking to work with an independent financial adviser in London will have peace of mind knowing that the Charted Insurance Institute (CII) has awarded Chetwood the Chartered Financial Planners designation. This means that not only are these financial planners in the UK highly qualified to practice their profession, but that the company, as a whole, also meets the high standards set out by CII for its member firms. As a top independent financial adviser serving clients in London and other parts of the UK, Chetwood follows a highly disciplined and structured process to identify clients’ risk tolerance, current circumstances, and investment goals. This structured​ process ensures that investments are continually monitored and that changes are made appropriately, on an ongoing basis, to reflect each client’s evolving lifestyle. As a UK independent financial adviser, Chetwood Wealth Management can source suitable alternatives from across a broad universe of products and services that meet clients’ unique requirements. While the firm excels in their commitment to independence and maintaining a highly qualified staff, our review found room for improvement on how their financial services are communicated. Without any specific information on what each financial service entails, clients may find it challenging to evaluate the full scope of Chetwood’s potential—or what to expect when partnering with the firm. By adding details about specific capabilities within each level of service, Chetwood Wealth Management could easily improve both their value proposition to clients and their rating as a top financial advisor in the UK. 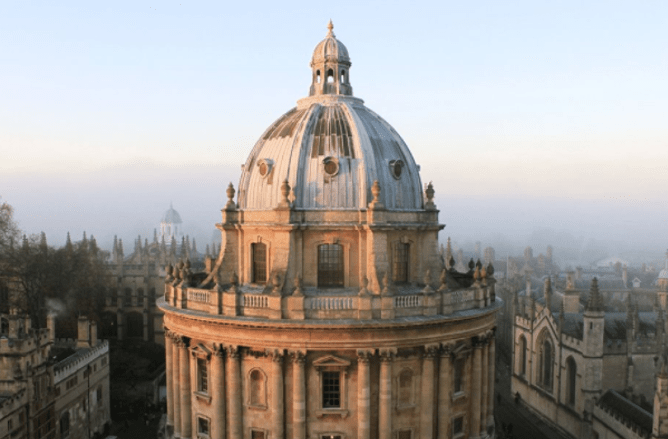 With a history dating back to 1906, Critchleys provides accounting, tax planning, wealth management, and financial planning services to clients across the UK from their Oxford office. Critchleys does not specifically state whether they are a fee-based or fee-only UK financial advisor. As always, we recommend verifying fee structure before partnering with any financial advisor in the UK. Part of what makes Critchleys into a top UK financial advisor is their dedication to maintaining a strong team of experts. For potential clients that aren’t quite sure what type of expert they may need to talk to—or what kinds of financial services they may need—Critchleys provides an interactive search to help narrow down the best financial experts for each unique circumstance. For businesses, individuals, and corporations alike, Critchleys is a top-notch UK financial advisor. The firm offers a wide variety of services catered to the unique needs of each client segment, a highly accredited team, and additional expertise in areas like accounting and strategic guidance, solidifying Critcheys as one of the best financial advisors in the UK. Founded in 1995, Equilibrium Asset Management is a Chartered UK wealth management firm that provides personalized financial planning advice in Wilmslow and Chester. Equilibrium does not explicitly call itself fee only or fee based, but the compensation structure they describe on their website sounds like they are like a fee-based wealth management firm in the UK. As always, we recommend that readers verify a UK wealth management firm’s compensation structure before beginning a working relationship. For every aspect of their financial services, Equilibrium provides a wealth of detailed information, making it easy for clients to get to know the firm and their capabilities before even meeting with a UK financial advisor. With a strong history of industry-recognized excellence, comprehensive financial planning services, and a talented team of UK IFAs, Equilibrium Asset Management is one of the best financial advisors in the UK to consider partnering with this year. Founded in 2001, Paradigm Norton is a UK financial advisor offering financial planning and investment management services in London, Torquay, and Bristol. Paradigm Norton does not explicitly say whether it is a fee-only or fee-based UK wealth management firm. As always, we recommend verifying a firm’s compensation structure before starting a working relationship with any financial advisor in the UK. How much should I give my children to ensure they are secure while preserving their sense of personal motivation? Should I divide my assets equally between my children? How can I explain to my children that I will be leaving all my assets to charity? As one of the top UK financial advisers, Paradigm Norton provides clients with a strong history of success and a wide range of financial resources. Unfortunately, we were unable to access Paradigm Norton’s full listing of UK financial advisors, making it difficult to evaluate the firm’s range of qualifications and certifications. Additionally, while the majority of the firm’s services are described in detail, our review found some room for improvement when it comes the firm’s financial planning capabilities. By listing all advisors and providing details on specific financial planning services—like budgeting, retirement planning, or cash flow analysis—Paradigm Norton could easily improve both their value proposition to new clients and their rating as a top UK financial advisor. Partridge Muir & Warren (PMW) is an independent financial advisor in the UK. Based in Esher and founded in 1969, the firm is made up of wealth advisers, financial advisers, and Chartered Financial Planners. Partridge Muir & Warren does not explicitly say whether they are a fee-only or fee-based wealth management firm, although they explain that their fee is calculated as a percentage of the funds under assessment. We advise all readers to verify compensation structure before starting a working relationship with any UK IFA. Partridge Muir & Warren takes pride in its status as an independent financial adviser in the UK that offers an array of bespoke and unbiased financial and wealth management services to its clients. This UK wealth management firm’s continued dedication to maintaining its regulatory independence and corporate autonomy demonstrates Partridge Muir & Warren’s commitment to serve its clients over the long term as a UK independent financial adviser. As a top independent financial advisor in the UK, Partridge Muir & Warren has a strong team-based approach to service delivery. For instance, clients using their wealth management service are assigned two professionals to deal with their needs – an account manager and an adviser. These two lead professionals are also supported by a large operations team. Overall, this UK wealth management firm uses a well-structured and client-centric approach to deliver all of its services. As one of the premier independent financial advisers in the UK, Partridge Muir & Warren credits its longevity and success to a value system of honesty, transparency, integrity, diligence, skill, and care. With comprehensive services, a talented team, and a value-driven philosophy of service, Partridge Muir & Warren is one of the best UK IFAs to consider partnering with this year. Based out of Nottingham, Russell Ulyatt is an independent financial adviser in the UK offering financial planning and wealth management services. Russell Ulyatt describes itself as a fee-based UK wealth management firm, but their wording alludes to a fee-only compensation structure, emphasizing that their UK IFAs are under no obligation or pressure to sell financial products. We advise all readers to confirm firm’s compensation structure before working with any UK financial advisor. As an owner-managed firm, Russell Ulyatt acts as an independent UK financial advisor for clients, offering them unbiased and impartial advice. Advisers with the firm do not indulge clients in sales pitches. This UK wealth management firm offers several service models for clients to choose from, with all fees and service charges discussed up-front and transparently. Alternately, clients who do not wish to work with a financial advisor in the UK on a retainer basis may opt for service under the Reactive Programme, where fees are determined and paid as needed. Private Client Service: This service appeals to individuals and families that need ongoing advice, frequent financial check-ups, and continuing reviews of their financial portfolios and plans. Corporate Service: This service is ideal for corporations looking to work with an independent financial adviser in the UK that will advise them on corporate pension schemes and employee benefit plans. Reactive Programme: This service is geared towards clients who prefer to pay for financial advice on an as-needed basis, rather than paying regular retainer fees. As a top financial advisor in the UK, Russell Ulyatt provides clients with an independent, unbiased approach to financial management, creating a strong foundation for a long-term financial planning relationship. Additionally, the firm provides a wealth of Key Guides that provide clients with an inside look at their process, financial planning tips, and expert wealth management insight, earning the firm a 5-star rating overall as a top UK IFA. Serenity Financial is an independent financial adviser with offices in London, Lincoln, and Cornwall, among others. Serenity Financial does not explicitly say on its website whether it is a fee-only or fee-based wealth management firm. We always advise readers to confirm compensation structure before starting a working relationship with any UK financial advisor. As one of the top-rated independent financial advisers in the UK, Serenity Financial follows a highly structured process to address unique client financial planning needs. Based on leading-edge financial and behavioural research, this process puts clients, their families and friends, and all of their goals and aspirations at the core of the planning process. This stage includes a complete audit of your current financial situation, which means reviewing your income, expenditure, savings, investments, pensions, employee benefits, and more. The financial advisors at this UK wealth management firm will take the time to analyze your situation and conduct thorough research to choose the best options for your financial plan. They will process the paperwork, provide written confirmation of any recommendations, and manage the entire investment endeavour. As a top UK financial advisor, Serenity Financial delivers a truly personalised financial planning experience, providing clients with an in-depth and customised approach. Backed by an experienced team and a client-centric foundation, Serenity Financial is one of the best UK financial advisers to consider partnering with this year. Independent financial advisers in the UK are part of a mosaic that is Britain’s busy financial hub. However, these professionals are unique in the skills that they possess and the services that they offer their clients. When searching for the right UK IFA to work with you, it is impossible to use a “cookie cutter” approach. Each of the individual advisers listed here bring a certain value proposition to the table. 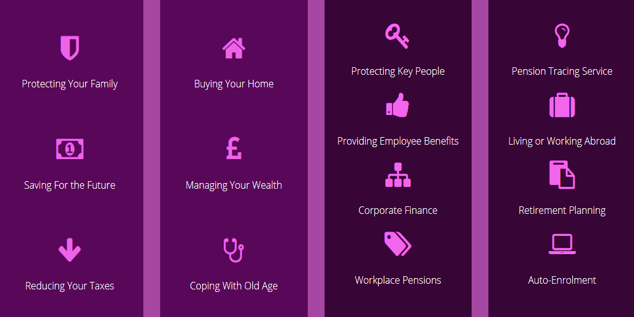 It is up to you to know what you need, in terms of financial planning or wealth management advice and support, and to then use the resources we’ve provided above to decide which one (or several) of these UK financial advisers is best suited to meet your unique needs.